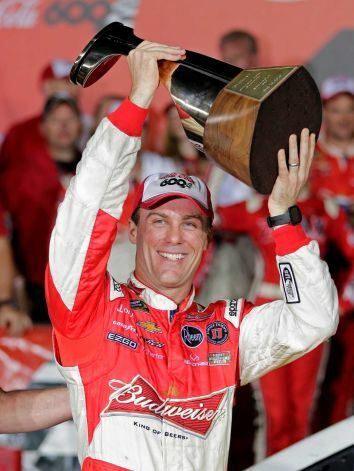 EVERYWHERE – This was quite a weekend for racing. Three of the most prestigious races, The Grand Prix of Monaco, The Indy 500 and the Charlotte 600, in the world all happened on Sunday and all were memorable with unique endings. 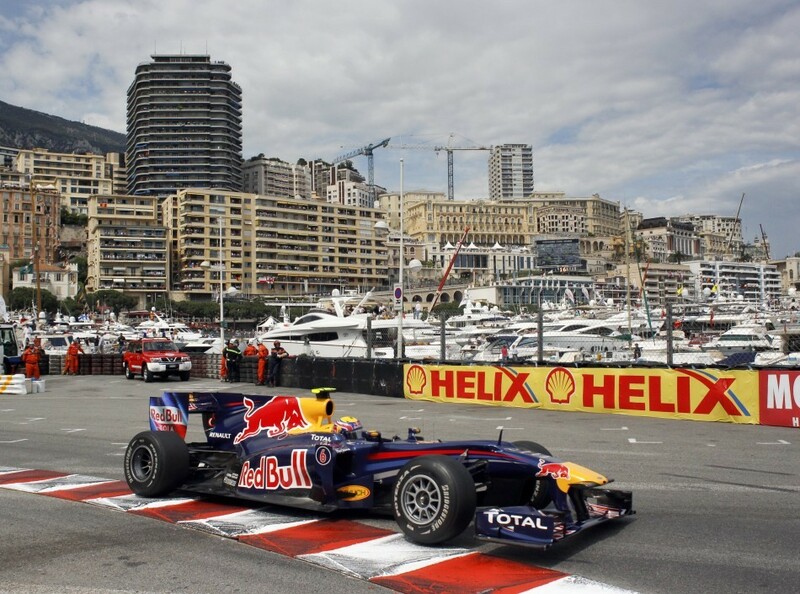 Broadcast Sunday morning in the US, the Monaco Grand Prix took place under a clear and sunny day against the backdrop of the beautiful picturesque Cote d’Azur. 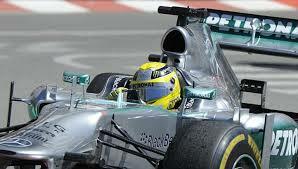 For the third race this year, Nico Rosberg placed his Silver Arrow Mercedes on the pole and drove a clean, incident free race to win his first Monaco GP. 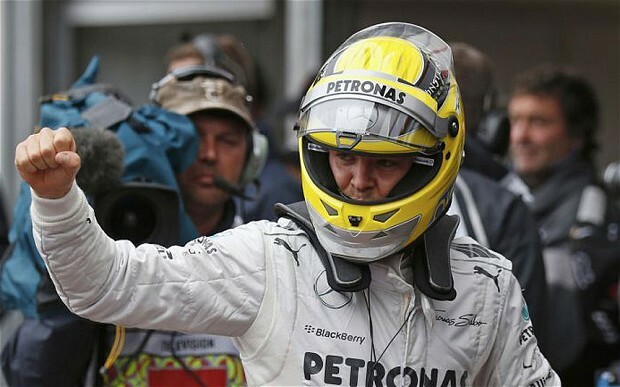 This was also the first time that Mercedes Benz has been in the winner circle at Monte Carlo – a truly memorable race. It was also extra special for Nico as his father, Keke, also crossed the finish line first at this race 30 years ago. "Today the team gave me a great car and it's fantastic to see how we've managed to improve in a short space of time." About his father’s win 30 years ago, Rosberg continued, "It's special, but honestly that's not what I was thinking of when I was crossing the finish line." The Infiniti-Redbull cars of S. Vettel and M. Webber finished 2nd and 3rd respectively. NASCAR granted an unusual 15-minute race delay to allow the teams to assess and repair damage to the race cars. After the restart, Busch looked strong, but an engine failure on lap 257 took him out of the race. Kasey Kahne then looked to be the favored contender, but a pit stop strategy error left him with worn tires late the end giving Kevin Harvick the edge on the final restart. Kahne finished 2nd with Kurt Busch following up in 3rd. 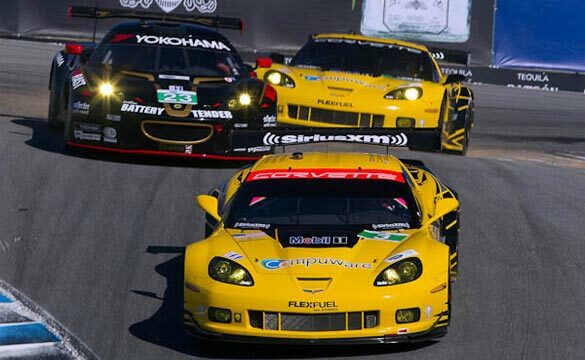 Corvette Racing Claims Victory in Monterey! 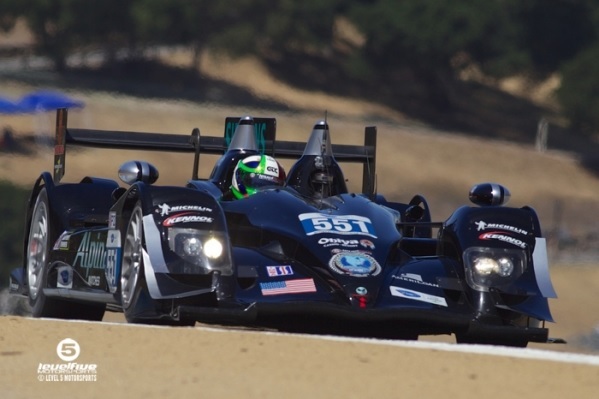 In P1, there was fierce competition all-day between the Muscle Milk Pickett HPD ARX-03c and the Rebellion Racing Lola B12/60. 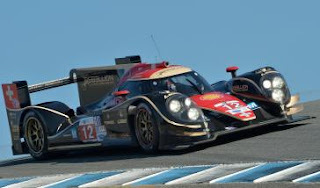 But with 40 minutes left in the race, the two cars contacted as they tried navigating around a slower GTC entry causing the Rebellion Lola piloted by Neel Jani to pit to replace a punctured tire. This gave the Luhr/Graf Honda the lead crossing the finish line 6.352 sec ahead of the Lola. Luhr commented that “…we had a little coming together but I think it was by no bad meanings from him or me. 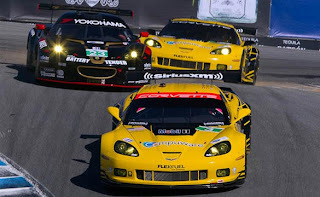 It was just unlucky a race situation with a GTC car in between... The way he hit me, I doubt he would have made the corner without me being there!" 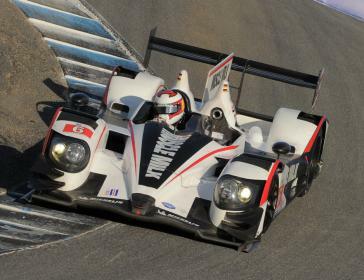 Surprise surprise, in the P2 class, an HPD AX-03b won. 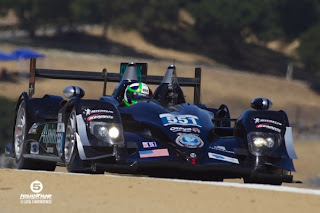 The Tucker/Franchitti of Level 5 Motorsports entry finished first in class and third overall with the Cosmo/Sharp car finishing three laps down (16th overall). "It was a perfect weekend and a great way for Level 5 to bounce back after a tough weekend at Long Beach," Franchitti said. "Especially going into Le Mans, this is what we needed. 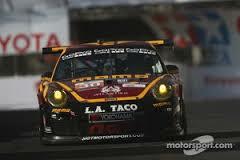 The guys have been working day and night preparing for this race. 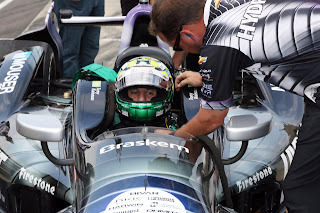 Scott, myself and Ryan have worked really hard with the engineers on the setup of the car and I think it showed today." Commencing their 2013 season, the 77 LUCAS OIL team will be testing the SilverHook 48GP at their race shop near Lake Monroe, FL before heading to Biloxi, Mississippi where they are competing in the 9th Annual “Smokin’ the Sound” Super Boat Grand Prix April 26-28. As a warm up to Sunday’s race, the team is looking forward to participating in the “Smokin’ the Sound” Poker Run on Saturday, April 27. Comprised of a long straightaway with sweeping corners where most of the action is sheltered by the sound protecting the course from any of the Gulf of Mexico turbulence, the Biloxi Grand Prix’s racecourse may prove to be a very smooth, fast track. “Typically this is not my favorite type of course”, says Hook “as we prefer the open ocean and the potential for big seas, but this venue has the attraction of all the casinos and great viewing for the fans”. The dry pits are based at the Grand Casino and the start/finish line in front of the Hard Rock Casino. From Sanya, China, host of the UIM Class 1 season opener, English pilot, Miles Jennings, will be making his USA debut in Biloxi standing in for Swedish pilot, Michael Silfverberg. 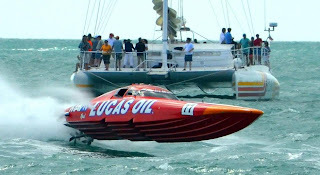 Miles, a veteran international powerboat racer, is also racing with the FENDI Racing Team where their next Class 1 race is mid-June in Istanbul, Turkey. “Stepping into Michael’s shoes won’t be easy”, says co-owner of SilverHook and throttleman Nigel Hook, adding “I have a lot of respect for Miles. We have raced against each other for many years, in many countries, and he has his own very special shoes”. Miles is often compared to former English Formula One Champion, James Hunt and his reputation of always being accompanied by two beautiful models. What else is new with the 77 LUCAS OIL SilverHook? 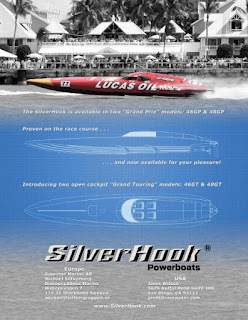 We swapped the Mercury 850hp out of the 17 LUCAS OIL Skater into the SilverHook. 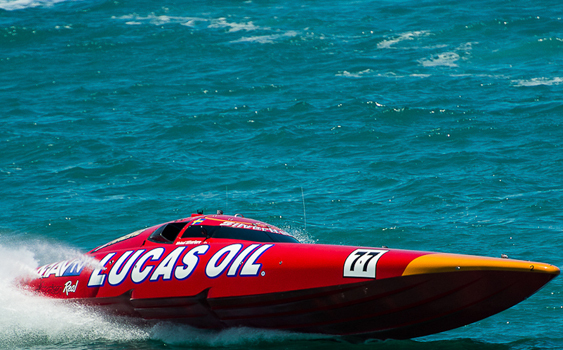 These engines were originally acquired by the team for the European Powerboat P1 power-to-weight ratio series and run conveniently on pump gas, which makes the 2013 plan of including Poker Runs in to the season more attainable and economical. Chief Mechanic Ryan Zivitski from Florida and Kieran Ironmonger from Race Technology (UK) are in charge of telemetry. 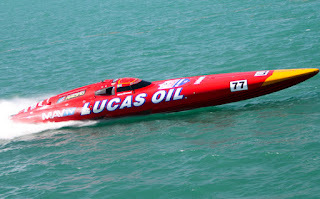 The 77 LUCAS OIL SilverHook team will be extending the offseason R&D to gain knowledge from the new telemetry system to identify issues during the racing to preempt expensive failures and improve efficiencies from high performance analytics.